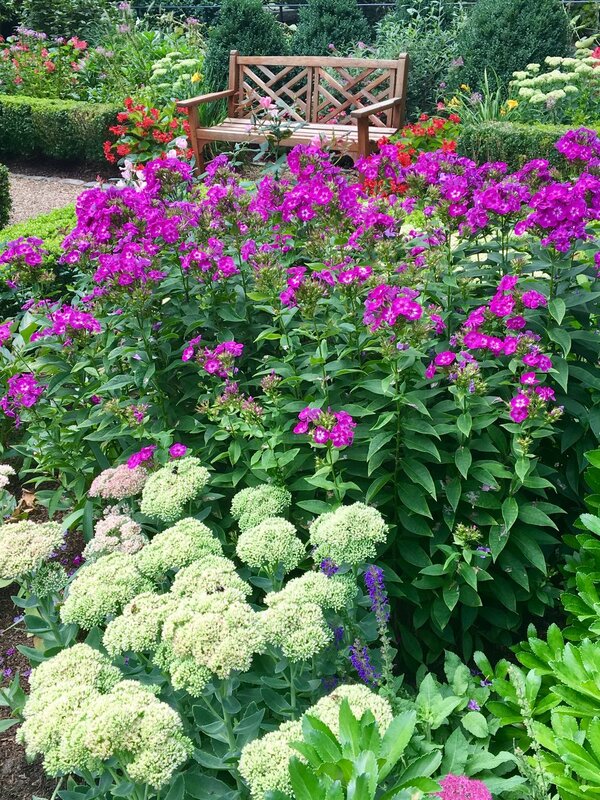 WESTON II — Nawada Landscape Design, Inc. 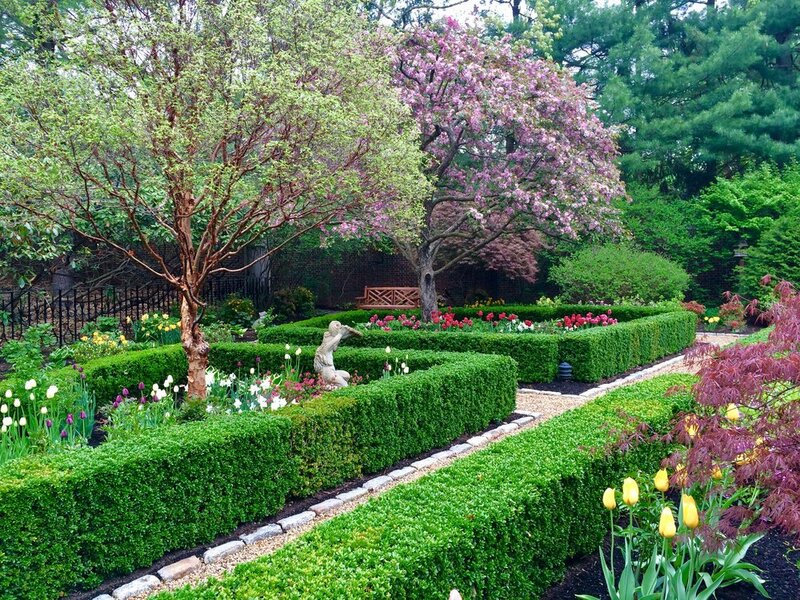 The homeowners of this spectacular property in Weston wished to rejuvenate their Formal Garden and Waterfall Garden in the spirit of the property’s original plans. 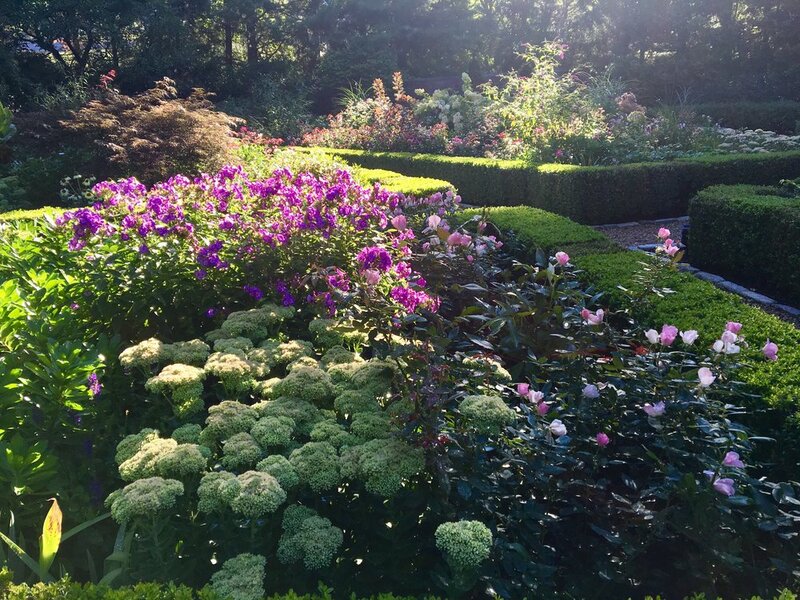 The Formal Garden now explodes with continuous blooms throughout spring, summer and fall while the structure of the trees and shrubs create character during the winter. 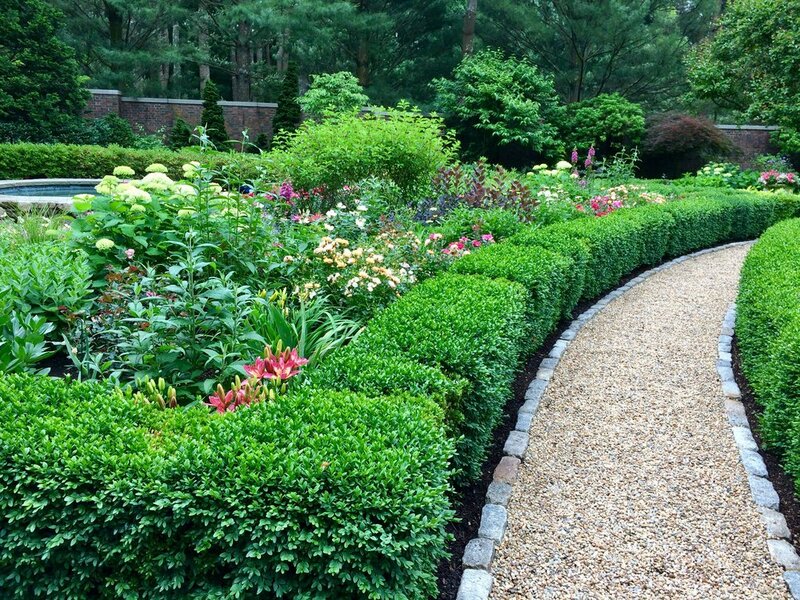 Each bed is defined by a formal boxwood hedge and all paths are filled with peastone and edged by granite cobblestones. The Waterfall Gardens contain native woodland and zone hardy plantings to form a naturalistic border between the constructed waterfall pools and natural landscape.